I’m sure you’ve also asked yourself sometimes, why hasn’t a digital pencil that allows you to work both analogically and digitally at the same time been invented yet . I am convinced that we’ve all wished that the sketches we make on normal paper could be instantly converted into a rasterized or vectorial image. Good, well you no longer have to ask or wish anymore. Why? Because Wacom has released Inkling on the market so that our sketches can be immediately converted into electronic vectorial graphics. You don’t need any kind of special paper, you can even use it on a napkin, just as long as it doesn’t exceed an A4 sheet. 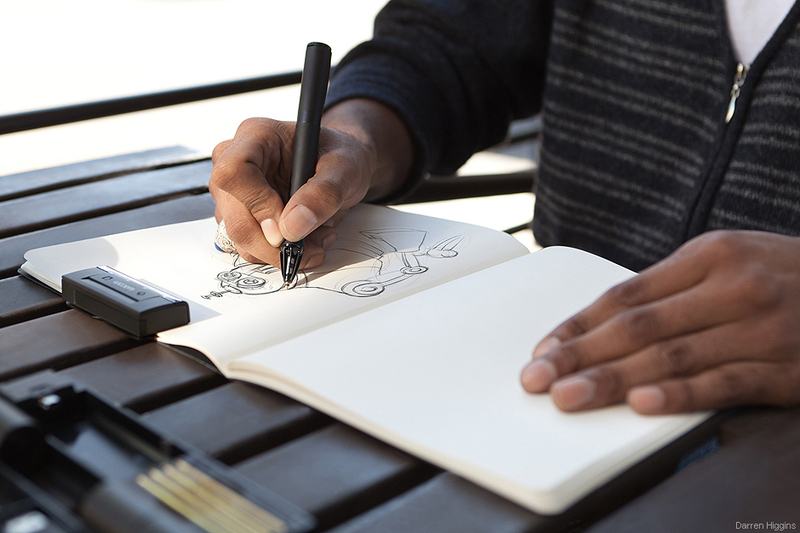 You turn Inkling on, attach the receptor to the paper and begin to let your creativity. Unfold. The traces are electronically recorded and can then be imported to your graphic design software (Adobe Photoshop, Adobe Illustrator and Autodesk Sketchbook Pro) as a bitmap or vectorial image, and/or save them as JPG, BMP, TIFF, PNG, SVG and PDF. Meaning as you get inspired, you can create new layers that are kept after the import. 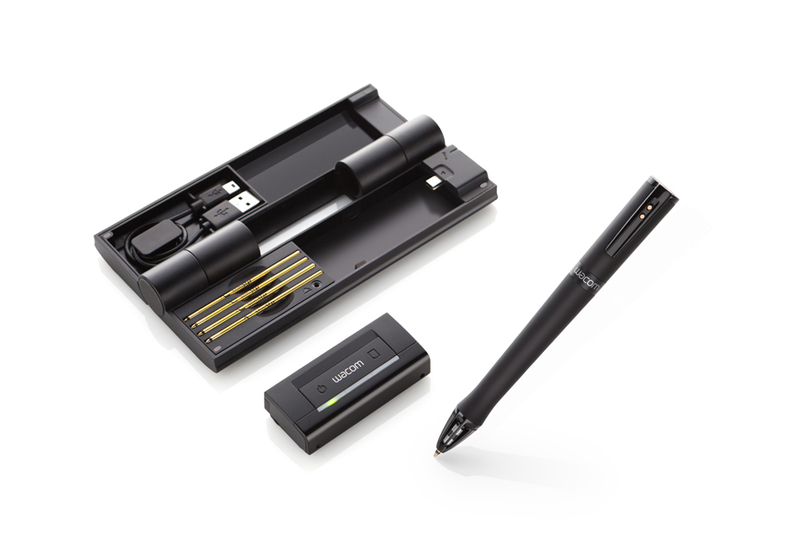 In fact, you don’t even need to have your computer near by: the pencil and receptor can be charged via USB when in it’s case (compact and easy to carry around). 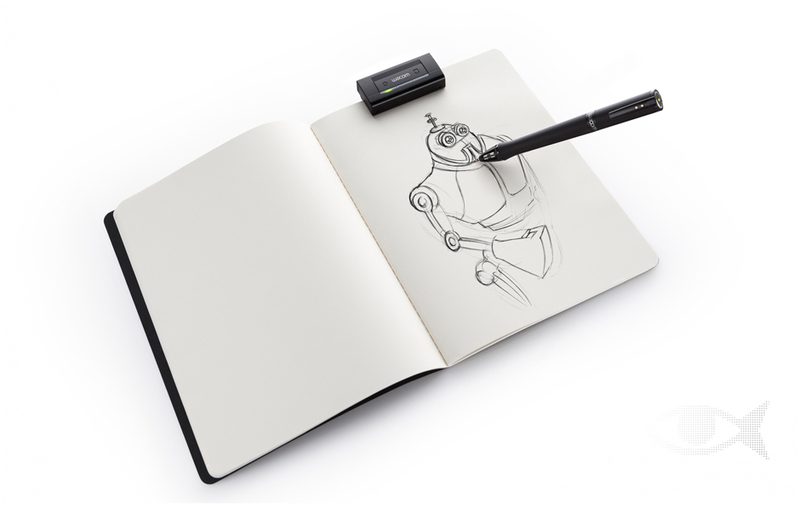 Inkling has only recently been presented and won’t be available until October 2011 (pricing at around 170 euros). For now it seems to be a tool that boosts spontaneity, really useful for designers, artists, engineers or architects. I say ‘for now’ because for the moment it is only news, a project, a sketch talked about on the Internet. We will have to wait for Inkling to go from a digital idea to an analogical tool in order to make analogical sketches that are converted to digital. And so as not to get stuck in a loop, I’ll leave it here.